Steven Slipp Design Inc., founded in 2011, is a creative communications design firm incorporated in Nova Scotia. 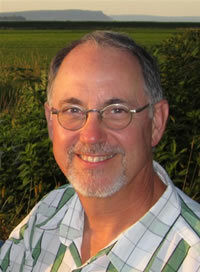 Steven Slipp is a 35 year veteran of the Nova Scotia design profession. His specializations include extensive experience in visual and brand identity, interpretive media and exhibition design, wayfinding and orientation signage, and packaging design. Prior to starting Steven Slipp Design in Wolfville, Nova Scotia, Steven was a partner in Semaphor Design Co. Inc. in Halifax from 1995 to 2011. He was also president of GDA Inc., Halifax, where he was designer, art director and general manager for 11 years. Steven Slipp (B.Des. NSCAD '80) is a certified professional member (CGD), Society of Graphic Designers of Canada, the national professional organization of communications designers. His design practice is governed by the society's professional code of ethics. He is also a long-standing member of the Society of Environmental Graphic Design (SEGD). Canada Post has commissioned Steven to design over 20 commemorative stamps. He acted as Atlantic Region Design Coordinator for Canada Post from 1994 to 2001, and served two terms on the national Stamp Advisory Committee. Steven was design editor for Parks Canada's essential bilingual reference, 'Design Guidelines for Media Accessibility' in 1993, hailed as a significant resource by the Smithsonian Institution. He served as treasurer of the Graphic Designers of Canada (GDC), Atlantic chapter, and chaired a regional design competition – 'What's the Big Idea?' in 1995. Steven has lectured and taught at his alma mater NSCAD University, most recently supervising the Visual Communications Honours class. He also led a team of NSCAD grads to host the first ever design alumni reunion.